Debut of "Hello Darling" hand engraved note card 2/22/04. 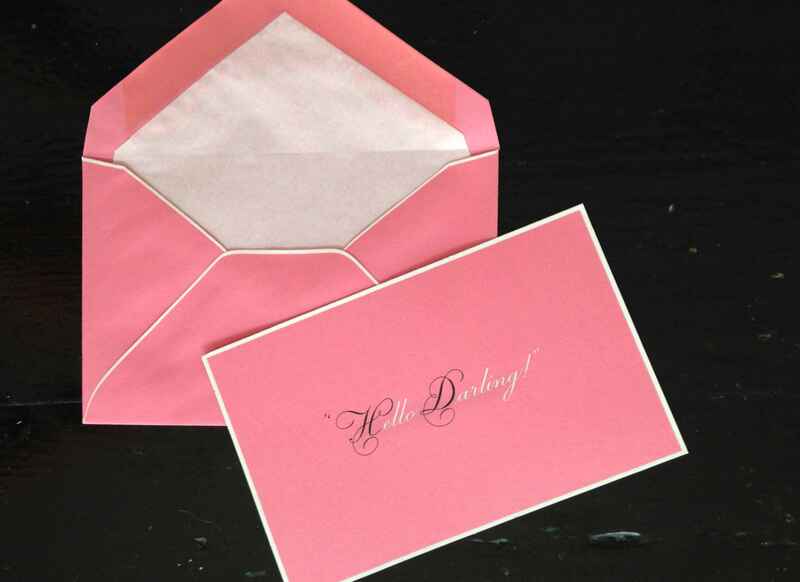 Mrs. Collins’s very own “Hello Darling” note cards hand engraved in two colors (black and white) on her proprietary “Oh That Pink” letter papers and hand bordered in white. $16.00 includes shipping and handling. Each order comprises one card and one hand-lined envelope. The envelope is lined with white, cotton content, onion skin paper. Close up of two color hand engraving. 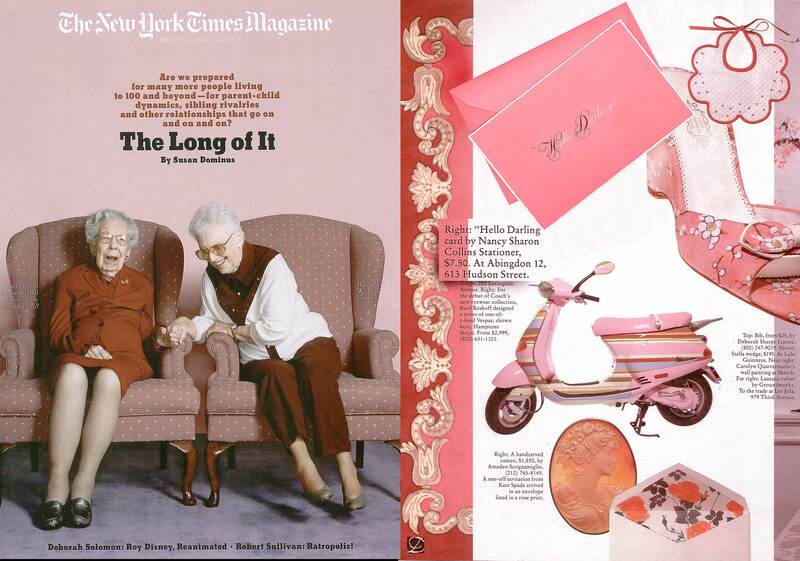 This hand engraved design was launched in 2004 for The New York Times [Sunday] Magazine.